This week Facebook founder and CEO Mark Zuckerberg has been appearing before a Senate committee on privacy, data breaches and the ethics of using customer data. Volkswagen appointed a new CEO to replace a leader who had the awful task of navigating the company past an emissions scandal in which the company admitted to rigging some 11 million cars worldwide with software to cheat pollution tests. The company paid more than $30 billion in fines for the scandal which broke back in 2015. Reddit CEO Steve Huffman drew some fire this week regarding racism on the platform. Just another week of the usual leadership news. And we’re just talking about business leadership. Morals. Ethics. Doing the right thing. No matter what. From a safe distance, it seems so easy. Simple even. In hindsight it all seems so…well, stupid. Maybe it was. Maybe it was stupid. Even from the start. But maybe not. Maybe over time it become something more. Growing like a snowball rolling down a steep hill. I’m not judging. Nor am I condoning. I don’t subscribe to situational ethics. Right is always right. Wrong is always wrong. Black and white. However, life is a big blend of grayscale shades. The C-suite should be like any other leadership group, above reproach. But greed happens. Sometimes it’s for money. Sometimes it’s for more power. Sometimes it’s to deal a blow to the competition. It’s almost always easily explained with logic that makes it seem it’s for the good of the business. Confidence and worry are practical factors. Why erode and amplify the other with questionable behavior or decisions? It’s the stuff CEOs need to function at their highest levels. But some leaders lack the character to be guided by conscience. So when they behave immorally or unethically, no problem. They’re not bothered in the least. I’m not cynical enough to think that’s typical though. More likely are the slides. One compromise, seemingly not such a big deal escalates into a bigger, and bigger deal. And before you know it, we’re knee-deep (or deeper) in a pit we never intended to even get close to. CEO’s can be surrounded by people who think decisions for the best financial outcome will resonate with the C-suite. It can lead to people willing to push boundaries knowing they’re not the final decision maker. That distance allows them to feel okay with their suggestion while the #1, the CEO, has to bear the real burden of responsibility and accountability. It’s just one more reason why every top-level leader needs people surrounding them willing to challenge, ask hard questions and remain dedicated to a north star of doing what’s right — no matter what! Being an unclothed emperor is a no-win game. It requires insight and perspective to see the values and benefits of every decision — while simultaneously seeing the risks and downsides. Any leader willing to shift their standards of what’s right based on financial outcomes, or anything else, is on a slippery slope. I could make arguments for the rightness of it, but let’s keep it business focused. It’s just good business. It’s better business to avoid immoral, unethical and illegal choices. Commitment to avoid even entertaining discussions about choices that are clearly “out of bounds” sets the tone of an organization that won’t foster those options. It puts the team in a frame of mind to innovate in ways that are purely in bounds. No matter what. 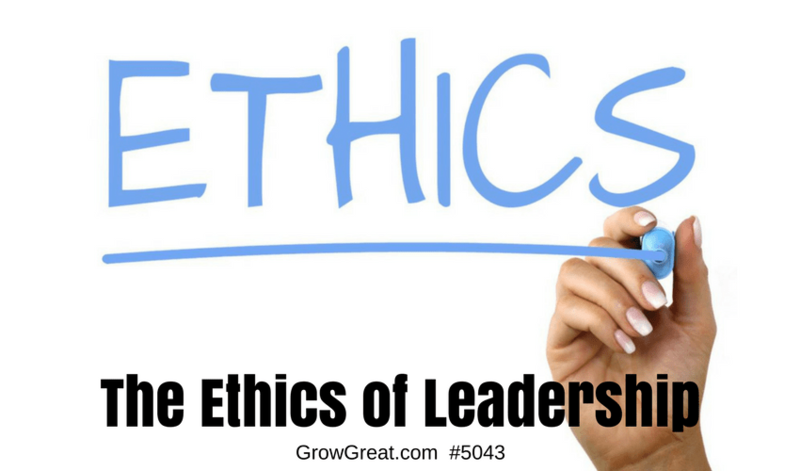 What too few may consider is the impact unethical choices have on the entire organization. If the CEO will make a choice in the name of something other than doing what’s right, then at the individual level, so will other members of the team…all the way down the line. Kids mimic parents. Employees mimic their leaders. The fish rots from the head down.